To say a lot has changed since we last saw the Dayton Flyers men’s basketball team is an understatement. After getting bounced early in last March’s tournament, the team watched four seniors graduate, saw its marquee coach depart for Indiana University and witnessed two marquee recruits back out and head elsewhere. As a result, it’s extremely difficult to get a feel for how this upcoming season is going to go. Is hoping to see a fifth straight tournament appearance foolish? Should we instead expect the Flyers to take a tumble down the Atlantic 10 standings? Will this year be surprisingly fun or a jarring step back from the successful seasons we just started getting used to? You get the idea. There are tons of question marks hovering over this upcoming Dayton campaign, with the first answers hopefully coming when everything kicks off tomorrow night against Ball State. Just eight months ago, despite a tough tournament loss and the fact four starters were graduating, things didn’t seem as unclear as they do today. Sure, fan favorites like Scoochie Smith and Kendall Pollard moving on made things difficult. Still, Archie Miller was a proven coach who had some solid recruits joining the team. The transition might have been rocky, but it still wasn’t crazy to think Dayton would be dancing again come next March. And then Miller took the head coach opening with the Hoosiers. Unsurprisingly, talented incoming freshmen McKinley Wright and Nahziah Carter decided against staying with the Flyers and committed elsewhere. What seemed like a season full of potential was suddenly thrown into a state of flux. 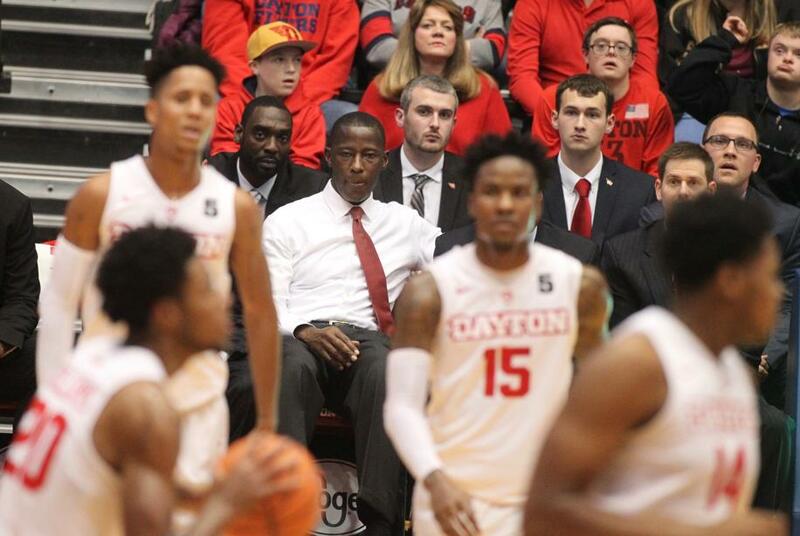 Dayton now turns to Anthony Grant, a former Flyer player who brings coaching experience at both the collegiate and professional level. His work is certainly cut out for him, as he preps to work with a relatively untested roster with its fair share of potential. There’s certainly a chance for the Flyers to surprise this year, just as much as there is for the overwhelming amount of inexperience to result in a rough season. The thing is, it seems impossible to get a consensus on how which outcome will occur for the Dayton. Some think the team will struggle mightily, yet the team also received five votes in the AP Top 25. As mentioned, the main reason there’s so much gray area is because there are so many questions about this year’s Flyers. The anticipation to see redshirt freshman Kostas Antetokounmpo take the court has reached a fever pitch. At the same time, will he be as good as his NBA superstar older brother, or will he struggle to live up to the hype? Will Matej Svoboda – the only holdover from Miller’s recruits – display the same shooting touch he showed off in last Saturday’s exhibition, or will his 13 points on 6-of-10 shooting be tough for him to consistently replicate? What about the holdovers from last year’s team? Forward Josh Cunningham was a monster in last weekend’s warm-up game. However, the Flyers will likely lean on him all season long to provide instant offense. Is he up to the task? Or how about Xeyrius Williams? The sophomore was a huge surprise last year, but can he take a bigger step up this season? Now that he’s been unglued from the bench, will guard Trey Landers become an impact player for Dayton? Hell, let’s not focus solely on the players. How will Grant do in his first year as coach? He has huge shoes to fill, as Miller raised the bar when it comes to the Flyers’ expectations. Will he maintain his predecessor’s success or are wins suddenly going to be tougher to come by? Are you getting the picture? There’s so much grey area with this team, so many question marks hovering over practically every key member, it’s impossible to know what to expect. The good news is we’ll start getting answers tomorrow night when the season opens up. However, what if said answers aren’t pleasant? You know what, never mind. I’m just as tired of asking questions about this year’s Dayton team as you are. Let’s just tune in tomorrow and hope a long offseason of maintaining guarded optimism amidst numerous unclear predictions will pay off.